In 2016, JDS sold the Hope Bay Mill (an 800 tpd modularized gold plant) assets to Guyana Goldfields Inc. and was awarded the contract to relocate the assets from Durban, Baltimore and Montreal to Guyana Gold’s river port facility located in Buckhall, Guyana. 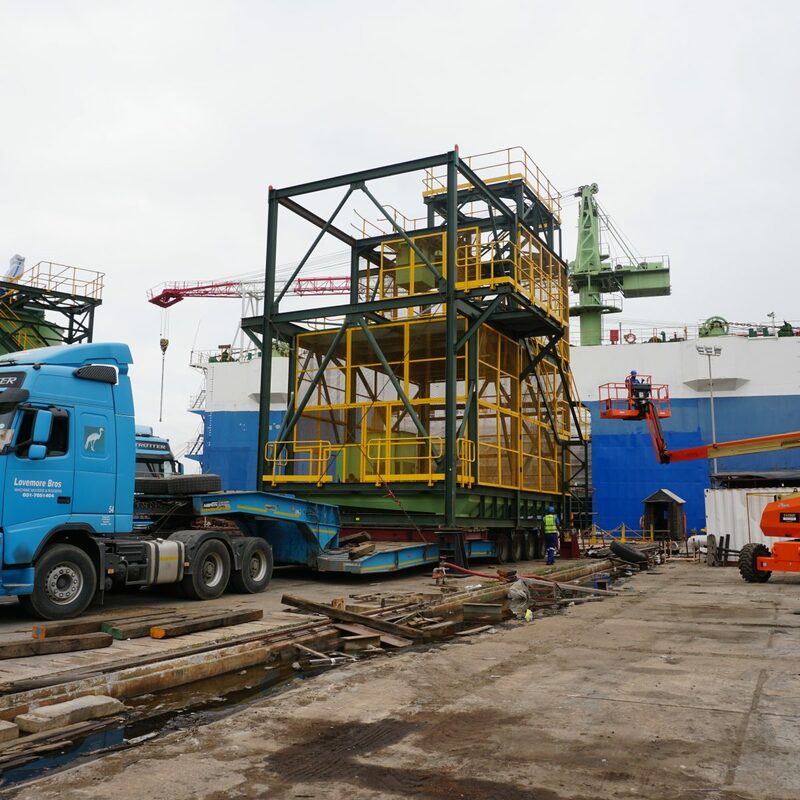 The majority of the Mill assets were relocated from Durban, South Africa including: 23 structural steel modules, 30 containers mechanical equipment, 16 tanks, and 8 pieces of oversize mechanical equipment shipped as breakbulk. 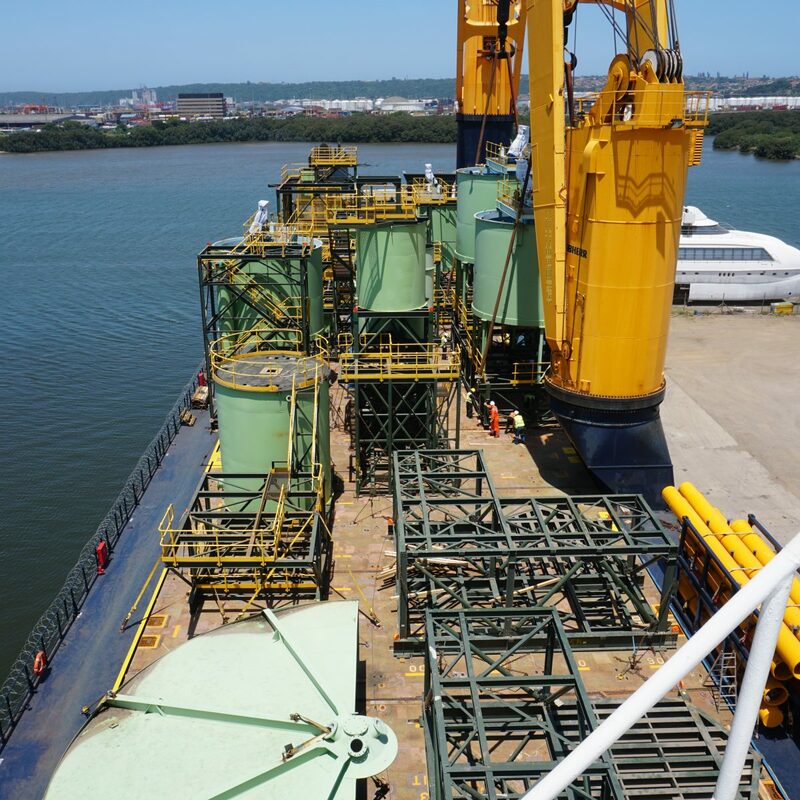 The Durban assets totaled over 16,000 m3 of volume and necessitated the chartering of specialty heavy-lifter ship in order to accommodate all cargo as a single load. 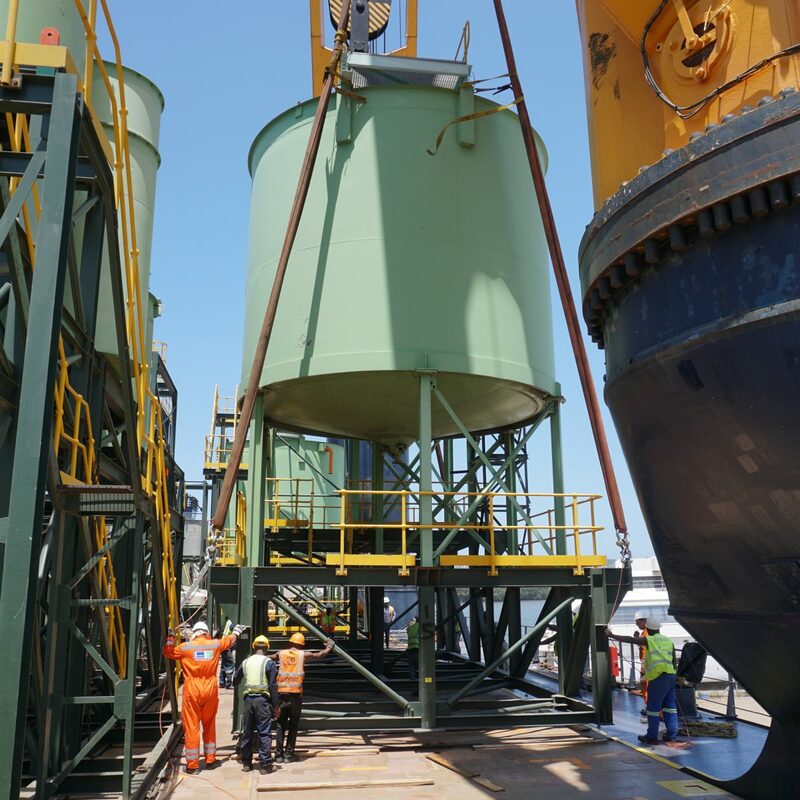 JDS was responsible for the planning and execution of the shipment through to unloading the mill at Guyana Gold’s Buckhall laydown. Transporting and unloading the barges at Buckhall. 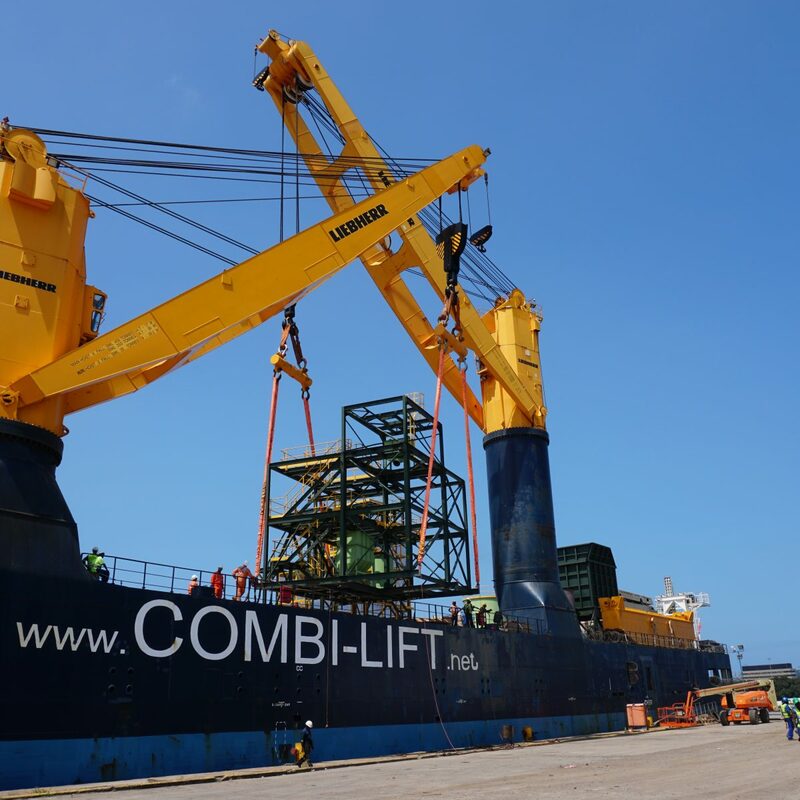 The oversize nature of the modules meant that there was no port facility in Guyana that could accommodate the breakbulk cargo. The ship was brought into port with the starboard side to shore and discharged the breakbulk cargo over port to a series of barges moored alongside. The ships then travelled the 70 km down from the port of Georgetown on the Demerara River to Buckhall on the Essequibo River. The work was completed in 2.5 months including 16 days of sailing time.